Website includes historical information about the former Gillespie County rural schools. Community neighbors and former students are preserving the rich history and places of learning established by the early German settlers. Open houses are held at the former schools throughout the year. All properties are available for special events and tours by request. MAJOR ATTRACTIONS: Note: This "ghost" town is well known because of the very scenic drive through Willow City Loop and two popular biker saloons (Harry's, until recently Knot In The Loop, now closed). Most local folks think of the neighboring unincorporated area of Eckert and Willow City as one, and call it "Willow City". Mid Feb: Pet Vaccination Clinic, sponsored by WCVFD & held annally at the Fire Station, from 2-4p. 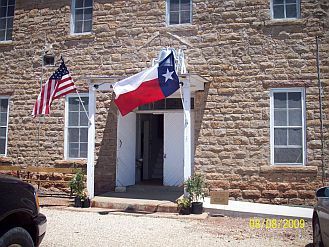 Early Apr: The Old Willow City School will be opened as part of the Friends of Gillespie County Country Schools Trail Open House Tour, 10a-4p. Visitors can tour the historical School built in 1905 and learn from docents (former Willow City School students along with community residents) about the School's history. Visitors will be treated to local artists and watching pioneer bread making tasks, followed by tasting homemade bread with dried sausage and cheese, and taking a Texas History Test. All are encouraged to visit. No admission fee. May: Barbecue, Auction, Raffle & Country Store Fundraiser, sponsored by WCVFD & held annually at the Fire Station, on the first Sat in May. Dec: Christmas Holiday Social and Cover Dish Meal, sponsored by WCVFD & held annually at the Fire Station, 6p. HISTORY: Handbook of Texas Online: ". . . The earliest recorded settler before the Civil War was a slaveholding Baptist preacher reported to harbor a strong dislike for the neighboring Germans. Sometime after the war a group of settlers-including ranchers Andrew Moore, Jim Renick, William Luckenbach, Bill Hardin, and Pierce Smith, storekeeper Gene Harrison, and miller Bill Ricks-came to Willow Creek and founded one of the few Gillespie County communities settled by English-speakers rather than Germans. These early settlers traded mostly in Austin because they preferred dealing with other Anglo-Americans rather than with the Germans in nearby Fredericksburg. The town prospered and gained an early reputation as a criminal hangout. 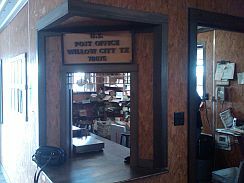 The post office opened in 1877 and was named Willow until 1887, when it changed to Willow City. The town had two teachers as early as 1881; one was John Warren Hunter, who once had to wrestle a six-gun away from an angry student. In 1885 a Methodist congregation was organized, although a church was not built until 1900, under Rev. T. J. Lassater. From 1892 to 1894 Green Harrison published the Gillespie County News; later he sold the newspaper to Webster McGinnis, who moved it to Fredericksburg. Willow City received telephone service in 1893. In 1904 the population was estimated at 132, and by 1915 Willow City had three general stores, a drugstore, two blacksmiths, and a cotton gin. The population declined during the first half of the twentieth century, to 100 in 1925 and to forty in 1939. During the 1940s it climbed again, reaching sixty by 1949, and then it fluctuated between a low of seventeen in 1964 and a high of eighty-five in 1968. In 1970 the population was estimated at seventy-five, where it remained through 2000." History of Willow City School, by Mable Wilke, 7/26/09: "Little is known about the first Willow City schoolhouse, which was located on the Paulus Flat area near the Willow Creek. When R. C. Roberts came to the Community in 1876 he described the building as a log cabin, no floor, and having split long benches. The building at that time was used for school and church services. In 1881, that building was enlarged, and in 1890, after the original school building flooded away, a second building was constructed on higher ground. In 1905, the present building was built on even higher ground where it stands today. This two-story rock building has two rooms and a hallway downstairs and an auditorium and stage upstairs. Ceiling fans have been installed and the downstairs has A/C window units for cooling. In the 1950's, restrooms were added to the north side of the building. The building and school grounds have served the Community for educating the young people, for holding business meetings, social gatherings and community events such as calf roping and softball games. The Willow City School consolidated with Fredericksburg Independent School District at the end of school term 1960-61. The Willow City Community Club was organized May 12, 1961. Then, on April 19, 1999, the Friends of Gillespie County Country Schools organized of which Willow City School is a member. The Friends group works toward preservation of the country school buildings that still are in existence for community use. The Willow City School building and property is now owned by Gillespie County." See more in the detailed listings below. 830-685-3376; 2553 Ranch Road 1323, Willow City, TX 78675. Meets 1st Wed 7p at Fire Station. Contact: Stanley Rabke, Chief at 830-685-3266. Volunteers are needed to join the department who are willing to train and respond to fires and medical emergencies, and protecting lives and property in the community. Donations are appreciated and needed. Non-profit organization. R DIAMOND RANCH: 830-685-3266; 3875 Eckert Rd, Willow City, TX 78675. Located 4 mi W of Hwy 16. www.rabkes.com. Guided deer hunts, All Ages Welcome. Men, Women, and Children Welcome. Very Reasonable Prices--Quoted on Request. 830-685-3255; 2571 RR-1323, Willow City, TX 78675. WILLOW CITY COMMUNITY CLUB: Usually meets first Friday of each month, at 7p at the Willow City School Building/Community Center (see below). Members are encouraged to bring finger foods and snacks for the light meal to be served at 7p. A short business meeting is held at 7:30p, followed by games of "42" dominoes and socializing. Club Secretary/Treasurer: Mable Wilke, 830-685-3385, Email: rmrwilkeranch@earthlink.net. HARRY'S ON THE LOOP: 512-919-9130; 2732 RR-1323, Willow City, TX 78675. Located 13 mi N of Fredericksburg. Beer & Wine Bar. Famous BBQ, bottled & draft beer, classic biker stop. 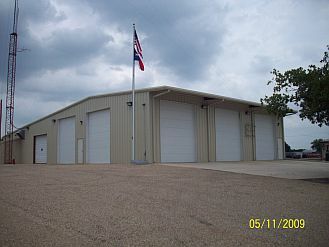 WILLOW CITY SCHOOL BUILDING/COMMUNITY CENTER: 2501 RR-1323, Willow City, TX 78675. This is a hickory sandstone, two-story, three room school building with original desks and blackboards. Built in 1905. This was the third school building for the Willow City community. First Rural Gillespie County school to have a bus and bus shed. Consolidated with Fredericksburg in 1961. 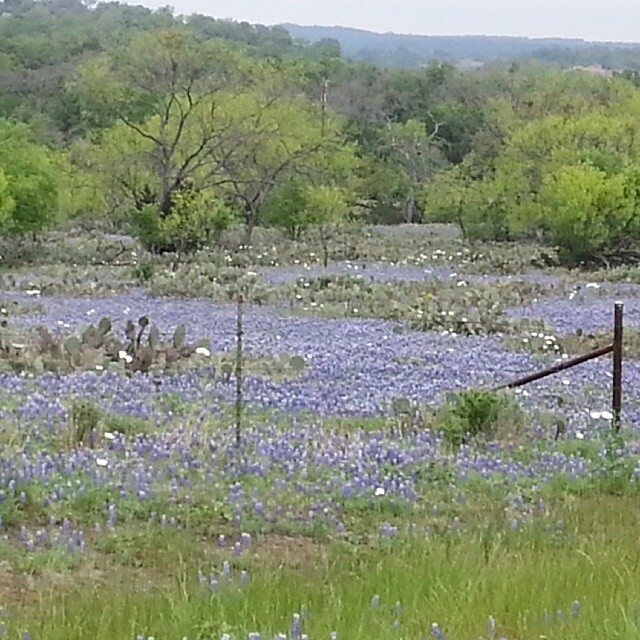 It is on the Gillespie County Country Schools Trail and is designated National Historic Registered site. The Building may be rented for social gatherings, such as receptions, reunions, meetings and classes. An annual open house and family night picnic reunion/homecoming celebration is held in August. See Club contact above regarding rental and building/area history. See above historical account by Wilke. See Friends Profile including town and school history and pictures. VERIZON: www.verizon.com. Regulated land-line telephone service. Residential Service: 1-800-483-4000; Business Service: 1-800-483-5000; Repair-Residential Service: 1-800-483-1000; Repair-Business Service: 1-800-483-2000. No local customer service office. See nearby Fredericksburg Business Directory for utility providers. BELL MOUNTAIN/OBERHELMAN: 830-685-3297; 463 Bell Mountain Rd, Fredericksburg, TX 78624. www.bellmountainwine.com. Sat: 10a-5p, From first Sat of Feb through last Sat of Dec. Other times by appointment 24-hours in advance. Closed Sun except special events. Complimentary tours and tasting at the Winery.